Resident Evil 7 won’t be out for another week, but it appears to have leaked in some parts of the world. People have already finished the game. You know what that means: the internet has transformed into a pukey, undead pile of spoilers. According to Eurogamer, the first spoiler virus outbreak came from 4chan, because of course it did. There are now various screenshots and videos floating around places like NeoGAF and the Resident Evil subreddit, though videos keep getting taken down. I’m not gonna spoil it here, but if you’re the type who likes to know how things end without doing any of that pesky legwork, here’s a solid story synopsis and here are some images and GIFs from the Big Reveal that’s got everyone talking. Beware: clicking those links will SPOIL THE WHOLE DANG GAME. So probably don’t do that. Also, given the way these things tend to work, probably avoid the comments on this post as well, if you’re trying to stay innocent and pure as a newborn snow hare until the game’s out. 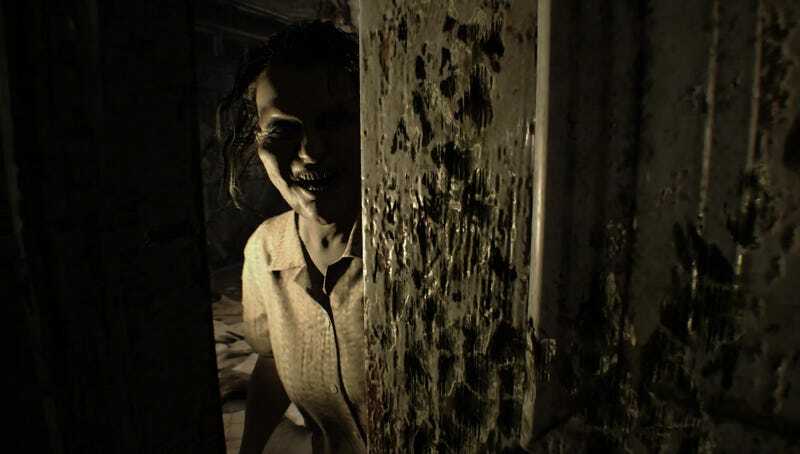 Resident Evil 7 will be out on January 24.